Melbourne is a city renowned for its excellent shopping and style. From unique boutiques to your favourite fashion retailers, this city has it all. Located at its heart is one of the best Melbourne shopping destinations QV Melbourne. 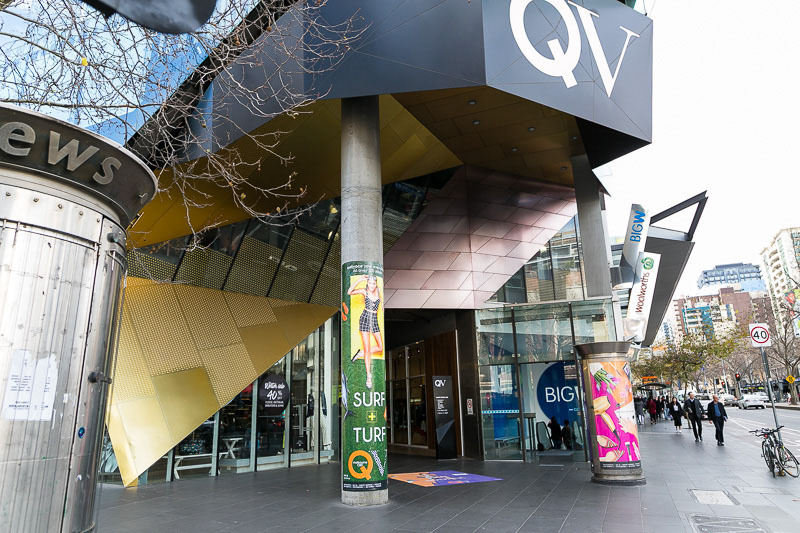 Whether you live in the city, work there, or have made a special trip, you can’t go past QV for your shopping needs. Featuring a great mix of stores with something for everyone, QV is a unique shopping hub for men and women. Always keen to explore the latest fashions and styles available, we recently took a trip to QV to discover what’s trending in Melbourne. Here’s what we found. While shopping in the city can be chaotic, QV makes it a breeze by bringing all the best stores together in one location. Featuring fantastic retailers, such as Incu, M Dreams and Ozmosis, QV has women covered for all their fashion needs. With each store offering something different and featuring their own unique trends, QV had us shopping up a storm before we knew it. Our first stop was Incu, the store features perfectly curated products from around the world. It represents modern fashion, innovation and lifestyle at its best. 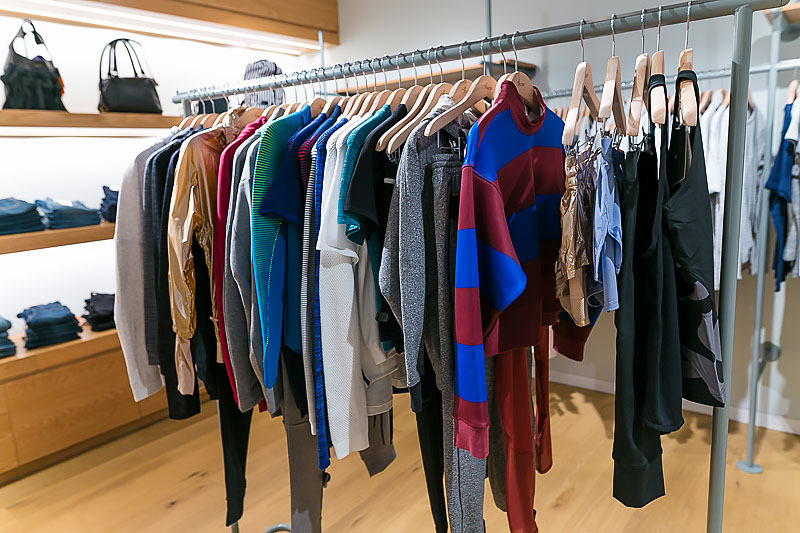 Carrying premium labels and designer pieces, Incu is an ideal location for women looking to buy unique and trendy pieces. While browsing through the store we discovered two highly-covetable trends for women to add to our wardrobes. If you’re looking for sports luxe womenswear at QV, look no further than Incu. Incu carries an exceptional range of pieces in this must-have trend from brands such as Adidas, Acne Studios, T by Alexander Wang and Comme des Garcons. The store offers a fantastic mix of sports and lifestyle brands with street wear and ready-to-wear designer pieces. These chic, athletic styles are perfect to wear on their own or to pair back with other pieces in your wardrobe. Along with Incu’s must-have sports luxe pieces, the store carries the Equipment x Kate Moss collaboration. The Supermodel teamed up with designer brand earlier this year to create the capsule range, and the results are superb. Infusing Kate’s rocker style into Equipment’s signature silk shirts was a stroke of genius that produced a piece of must-have fashion. Featuring standout prints from lightning bolts and stars to leopard, these shirts demand a place in everyone’s wardrobe. While Incu is the perfect place to shop for sport-luxe, designer streetwear and unique silk shirts, M Dreams is QV’s place to go for chic footwear trends. Home of the famous Melissa shoes, M Dreams sells the brand’s stylishly designed, eco-friendly footwear. The label’s unique and innovative approach to shoe design captured our attention early on and had us looking for Melissa’s next big trends. Although Melissa is well known for its shoes made from plastic, it was the brand’s unique espadrilles that TheTrendSpotter picked as the brand’s next big trend. Featuring cute, woven designs (one pair even features flamingos! ), these espadrilles are perfect for the spring and summer seasons. Pick up a pair on your next visit to QV and you’ll undoubtedly find yourself wearing them all the time. 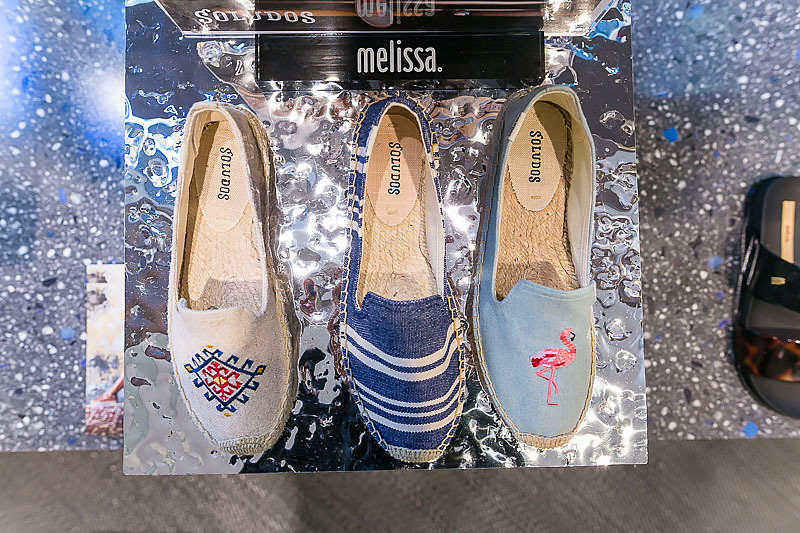 After checking out Melissa’s unique espadrilles, we turned our attention to the trend-worthy designer collaborations in store. With such innovative designs, it was no surprise to find out that the brand had collaborated with names such as Vivienne Westwood, Jeremy Scott and Jason Wu. Featuring unique high-fashion design at an affordable price, these shoes are sure to get you noticed in the best of ways. 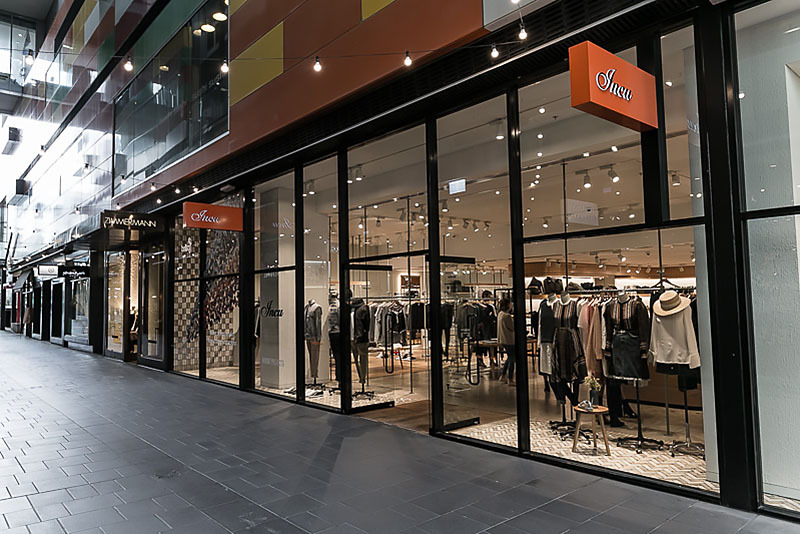 TheTrendSpotter’s final pick for women shopping at QV is Aussie favourite, Ozmosis. Containing all the best skate and surf brands, Ozmosis is the place to go for labels such as Rip Curl, Rusty, Hurley and Seafolly. With warm weather ahead, this store is the perfect place to pick up all your streetwear and swimwear needs. Printed slogan t-shirts are a trend that will never go out of style. Rusty’s “No Hard Feelings” tee is a fashionable purchase that you can feel extra good about. With a percentage of sales going to the National Breast Cancer Foundation, this simple slogan tee is helping to reach the goal of zero deaths from breast cancer by 2030. Tassel swimwear has made waves at international swimwear shows and we have spotted some great designs at Ozmosis. These cute bikinis, which feature dangling tassels, are super stylish and chic. With summer coming up, we predict that these will be the most fashionable swimmers of the season. Check out Seafolly’s stylish range at Ozmosis QV now.